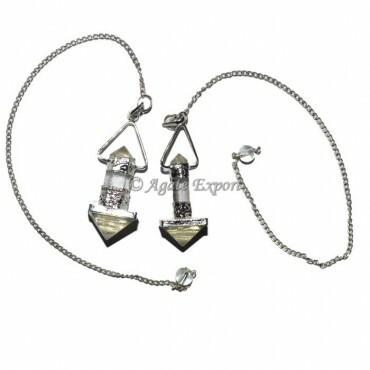 Crystal Quartz Healing Crystals Pendulums is protection against negativity. Also its help to relieve a pain. This is available in highly polished collection. Crystal Quartz know as a ?Stone of Power?. This amazing crystal Pendulums is connected with spiritual activity.